What's New For The 2019 Hyundai Elantra? 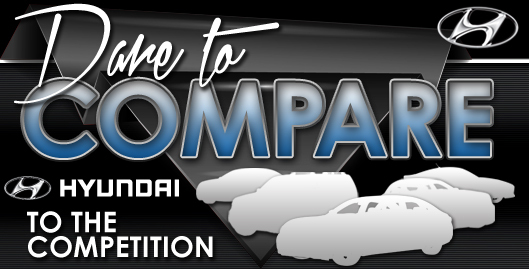 For drivers in the market for a stylish and reliable compact car, there are few vehicles that can compete with the Hyundai Elantra. For years, it has been one of the best cars in its class. With the release of the 2019 Elantra, this trend looks set to continue. The first thing that you will notice about the new Elantra is that it has a totally redesigned exterior. Featuring a new hood, fenders, grille, taillights, and trunk, the 2019 Elantra is bound to turn heads wherever it may go. Hyundai also offers a selection of beautiful 15-, 16-, and 17-inch wheels with the 2019 Elantra to complete its all-new look. 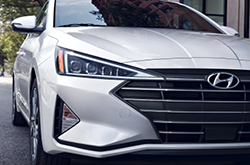 When purchasing a 2019 Hyundai Elantra, drivers will have their choice of 6 trim levels - SE, SEL, Value, ECO, Sport, and Limited. 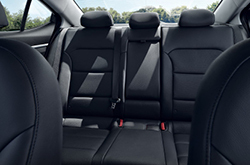 Though each trim offers a unique twist on the 2019 Elantra, they are all home to an abundance of features and amenities. 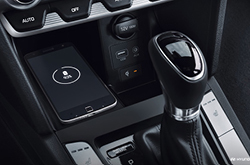 Music lovers will enjoy the audio controls that are conveniently placed on the steering wheel, while families with kids are sure to appreciate the ample leg room and passenger space in the rear of the vehicle. Of course, no matter which trim level or options you opt for, you will receive the Hyundai fantastic 10-year/100,000 mile warranty - the best of its kind. Drivers who want to get behind the wheel of a vehicle that provides plenty of power and performance will be impressed by the 2019 Hyundai Elantra. Depending on the trim option that you choose, the Elantra is capable of delivering a whopping 201 HP. Of course, the 2019 Elantra doesn't just provide an abundance of raw power. It also offers some of the best handling of any vehicle in its class. Its impressive MacPherson strut front suspension with coil springs provides the driver with responsive cornering and a smooth ride. When it comes to driver and passenger safety, the 2019 Hyundai Elantra is near the top of its class. Every Elantra comes with features such as a rearview camera, Electronic Stability Control, advanced dual front airbags, and a Tire Pressure Monitoring System as standard. If you want to take your safety options to the next level, you can also opt for the available Smart Cruise Control and Safe Exit Assist. If all of this talk about the 2019 Hyundai Elantra has made you want to check one out for yourself, why not stop by the Camelback Hyundai showroom today? Our knowledgeable staff will be happy to arrange a test drive for you and will answer any questions that you may have about the vehicle.